Microsoft OneNote is an advanced, rich-featured note-taking program. It will take information organization to an entirely new level giving a reliable digital notebook that can replace traditional paper notes. Microsoft OneNote gathers such items as notes (both handwritten and drawings), screen clippings and audio commentaries that can be shared with other OneNote users over the Internet or a network. Microsoft OneNote is available as a part of Microsoft Office and Windows 10. It is also available as a free standalone application for Windows, OS X, Windows RT, Windows Phone, iOS, and Android. A web-based version is provided as part of OneDrive or Office Online and enables users to edit notes via a web browser. Microsoft OneNote can be used anywhere on computers, tablets, phones. It enables you to share notebooks with others – friends, family, colleagues. It is useful when you want to capture your thoughts, brainstorming, to-do’s, etc. You can organize notes in any way you want. You can even jump between notebooks due to the easy to use navigation bar. The enhanced search tool enables you to immediately find the desired section, prioritize notes, record recent files to help you find the necessary information. Publish notebooks publicly on Docs.com which lets you make notebooks accessible for others to copy and use with just a single tap. Whether it’s a notebook that details must-see sights and local hangouts, a lesson plan fellow teachers are clamoring to use in their classrooms or those Chem 101 notes your fellow freshmen are begging for – you can share your notebooks on Docs.com. Me-me-me-me (at work, works! ): To save an email alongside all your other notes, just forward it to me@onenote.com and you will get things sorted out for you; think of it as your personal email filing entity. Crop shop: Crop the top (or any other part) of an image in Microsoft OneNote Online with the new Crop tool. It’s the teacher approved! Forget-me-now: When you are done after the semester, you can remove notebooks you’re finished with from the list of notebooks displayed in OneNote Online. 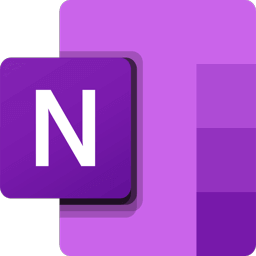 Firefox and Safari users rejoice – clip with abandon: You now have the OneNote Clipper extension in all of its glory (and functionality) including Region mode clipping on Firefox and Safari browsers. Of course, we still have it for Chrome as well. Office Lens built in: Never lose a white-boarding session or homework assignment again. Now you can scan documents right into OneNote with a single tap with our fresh-off-the-software-presses Office Lens integration in Microsoft OneNote for Windows 10.
iOS 11.0 or later. Compatible with iPhone, iPad, and iPod touch.